It's 2018 and a 14-year-old has to release a statement about this. ICYMI, Stranger Things star Millie Bobby Brown and singer/lip-syncer Jacob Sartorius have been dating since December. They're 14 and 15 respectively, and have been making everyone sick on Instagram with their adorable posts. Well, now the two have officially broken up. 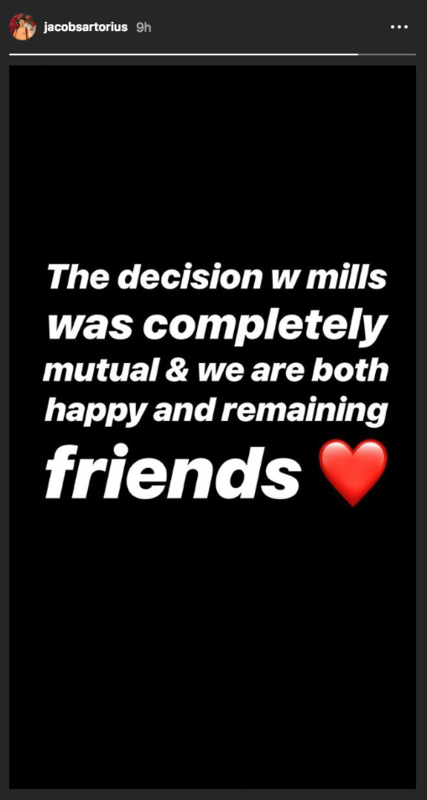 And I mean officially – they both released statements about it on their Instagram stories. Also they unfollowed each other! Reaction to the news was somewhat mixed. 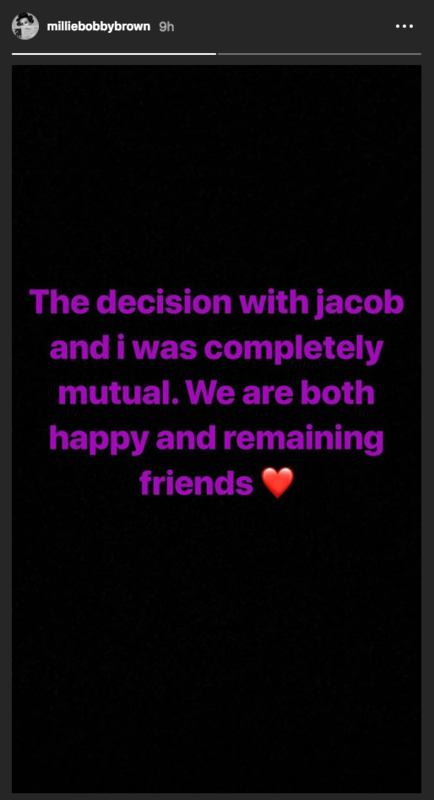 jacob sartorius and millie bobby brown broke up? so sad. alexa play despacito. And it had some people flashing back to their own teen break-ups. Millie Bobby Brown and her BF break up and release a statement saying "we're both happy and still friends" Yea when I broke up at age 14 it was totally drama-less and did not lead to lots of bad poetry and #DashboardConfessional..oh wait. Millie seems to be doing okay, because she also shared this cute pic to her Instagram story. Live your best life, sweetie.